One more year, from 1 to 9 December, C. Menéndez has participated in the XXXV edition of the Aragonese Craft Fair. 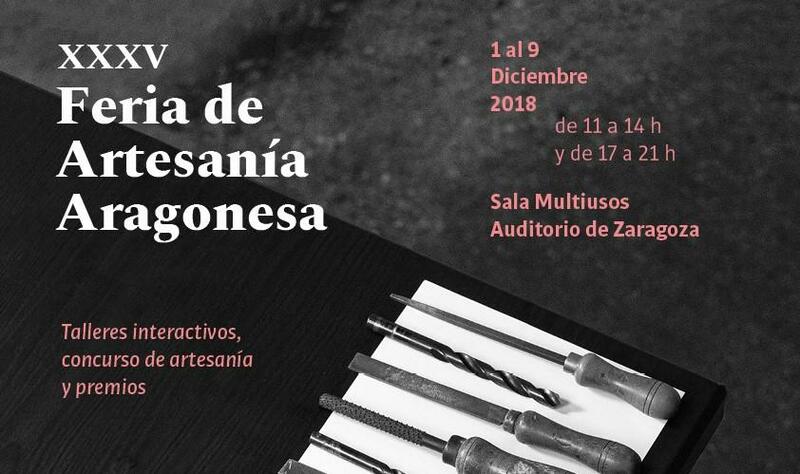 An event that brings together more than a hundred artisans from all over Spain and with some guest from abroad, all of them specialists in making unique pieces entirely made by hand. 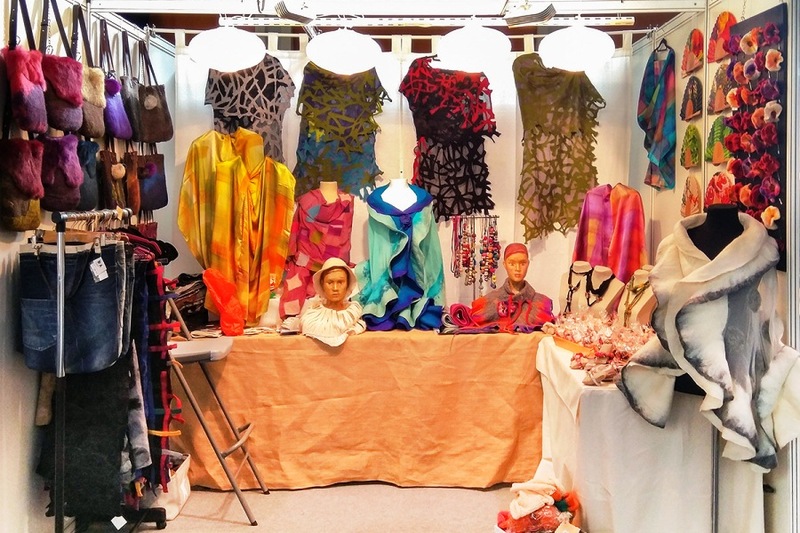 The Aragonese Craft Fair is organized by the Professional Association of Artisans of Aragón; It takes place in the Multipurpose Room of the Auditorium of Zaragoza, where the visitor can find a wide representation of craft sectors such as ceramics, leather, vegetable fibers, jewelry, wood, metal, dollwork, goldsmithing, textile and glass. It is an event in which the public knows the latest news of the sector, and where you can also participate in live crafts workshops, contests and numerous activities. From C. Menéndez, we have contributed to the success of this contest by taking very special, original and totally new pieces, thinking about the winter and the upcoming Christmas holidays. Our stand has had a small representation of our complements, all of them unique pieces entirely made by hand. 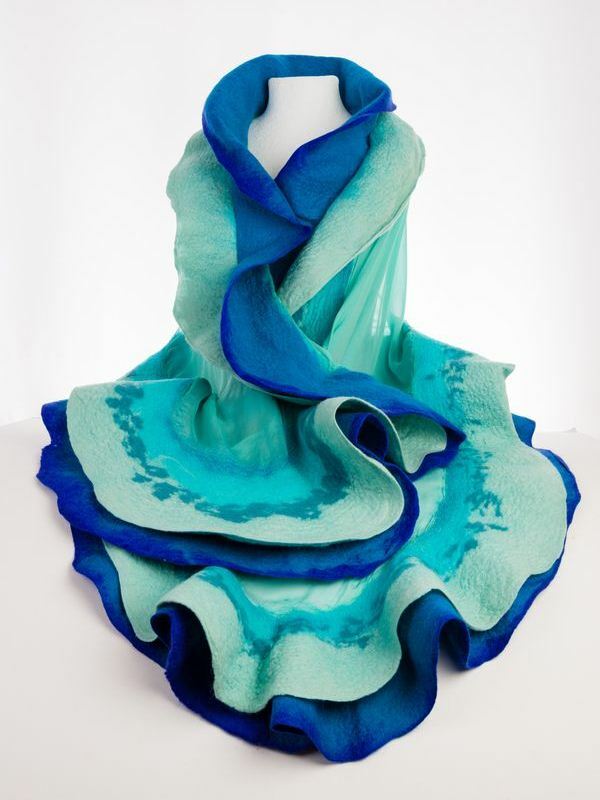 For example you can see this wonderful Nuno Felt Shawl, made of natural silk and fine merino wool, with double felt frill, which has gone to a New Year's Eve celebration in Seville !! 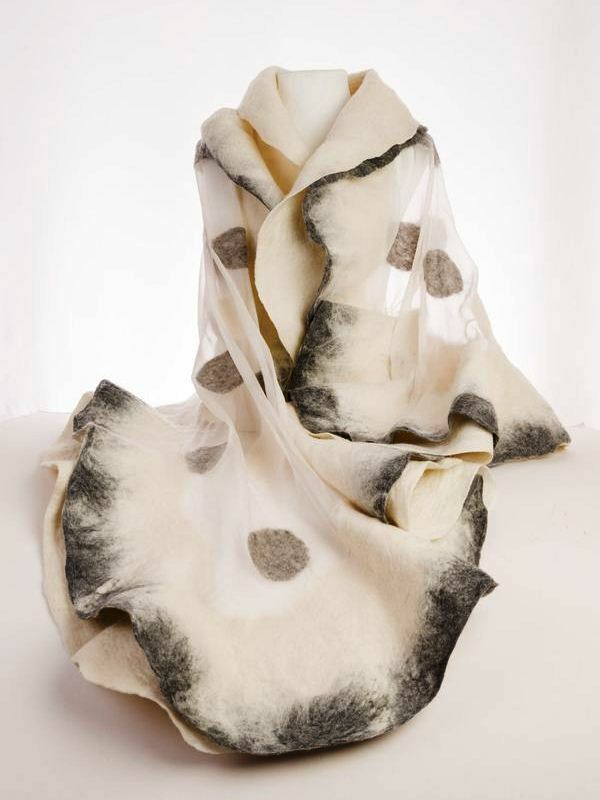 Or this other Nuno Felt Shawl, made of natural silk and merino wool, with double felt wheel that has remained in Aragonese lands! We have also brought warm and elegant surcoats ideal to combat the cold wind of the wind, made with soft merino wool from our best flocks of sheep. All these unique pieces made entirely by hand and so special, are only available in the physical store, but if you have an idea or a need for a celebration or a special occasion, tell us about it and see how we can help you.